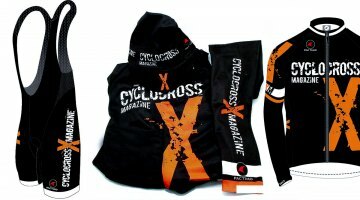 It’s your last chance to order for our first run of Cyclocross Magazine jerseys, bib shorts, jackets, arm warmers, caps and even skinsuits! Our store is closing and starting to process orders next Tuesday, July 22, so get your orders in now! The CXM Pit Crew has been sporting, testing, and abusing these Cyclocross Magazine kits over the last year, and we’re happy to report they’ve been supremely durable, eye-catching, and have even helped land a few folks on the podium. 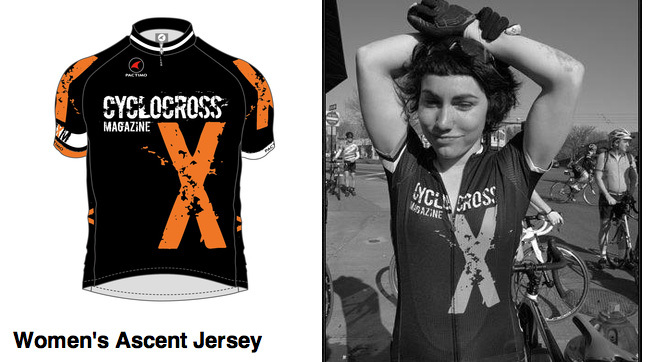 Now’s your chance to pick up some for your cyclocross friends, or for yourself! Can’t stand the feel of spandex, or buying for someone who doesn’t spend all of his or her time in the saddle? 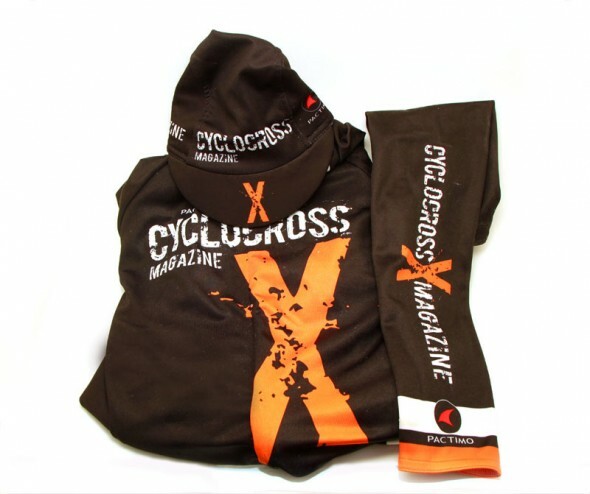 Options like our CXM hat ($15) or arm warmers ($22) show off CXM pride without involving a chamois, or breaking the bank. To check out all the bold, stylin’ CXM gear and place an order, visit the Pactimo order site and sign in using the password cxmagazine.Then, simply set up an account and start shopping! Orders ship when we hit our modest minimums (not immediately), and the store will remain open until TONIGHT for this round of orders. Get your orders in, and we should hopefully have you stylin’ in under two months. It’s premium cyclocross and cycling gear from Colorado-based Pactimo at affordable prices. 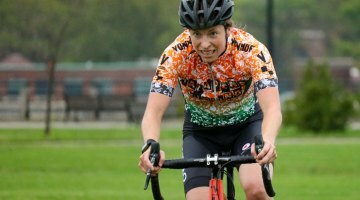 Our philosophy is that you should be able to afford to pick up more than one item, look stylish from head to toe, and not have a heart attack when the inevitable cyclocross crash happens (because you were able to afford a second jersey or skinsuit). Plus, you’ll be smiling knowing that you’re also sporting the colors of the only magazine dedicated to your favorite sport. Aren’t subscribed to the magazine yet? What are you waiting for! 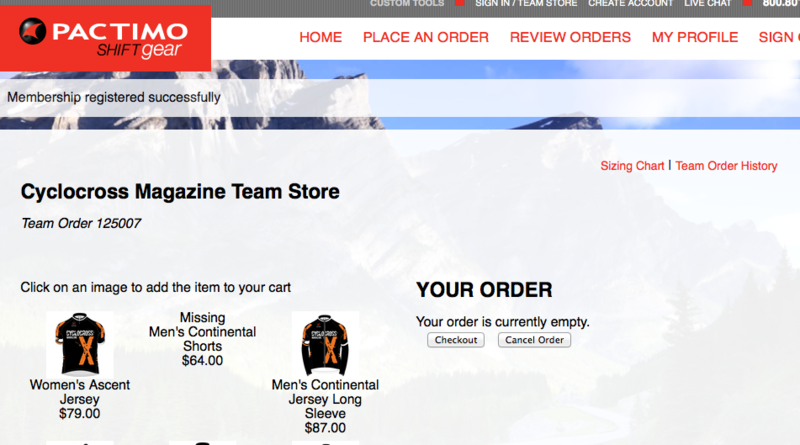 Subscribe to Cyclocross Magazine. looks great! If my closet wasn’t overflowing, I’d be all over this. Maybe I can fit in just one more hat?! Who produces it and hows the quality/price? Been rockin’ the Evergreen Jacket and the Cycling Cap the last few weeks. 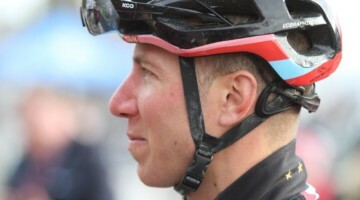 Great fit, quality, and looks sharp on and off the bike!